ABC News is fact checking Trump's latest claims tonight. President Donald Trump was holding court front and center Tuesday night as he delivered remarks from the Oval Office in the hope of convincing the American public and skeptical lawmakers that there is a crisis at the southern border. His goal: to secure billions of dollars in funds to build his promised "big, beautiful" wall amid a partial government shutdown that has no end in sight. Trump has a history of making statements on immigration that are often misinformed, inaccurate or downright unfounded. ABC News is fact-checking his latest claims tonight. Claim: "The wall will also be paid for indirectly by the great new trade deal we have made with Mexico." There is no evidence that the United States-Mexico-Canada Agreement deal would pay for the wall. The United States, Mexico and Canada came to an agreement on the USMCA, essentially a renegotiation of the North American Free Trade Agreement. Congress still needs to approve the trade deal, which has provisions including requirements that 75 percent of auto content be made in North America and 40 to 45 percent of auto workers earn at least $16 per hour. It's unclear what funds, if any, would be available to pay for the wall. 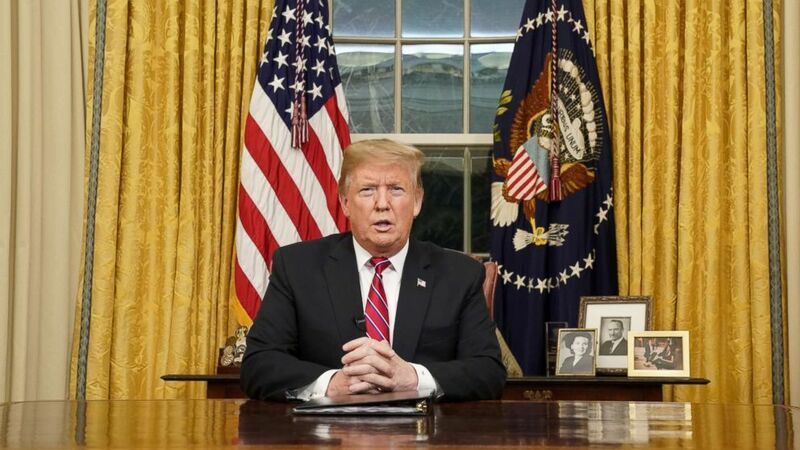 (Carlos Barria/Reuters) President Donald Trump deliver a televised address to the nation from his desk in the Oval Office about immigration and the southern U.S. border at the White House in Washington, Jan. 8, 2019. Claim: "My fellow Americans, tonight I'm speaking to you because there is a growing humanitarian and security crisis at our southern border. Every day, Customs and Border Protection agents encounter thousands of illegal immigrants trying to enter our country." Looking at the situation at the southern border by the flow of migrants alone, there is little justification to call it a "security crisis." The numbers are clear: Total apprehensions by Customs and Border Protection have been trending downward the past two decades. According to Customs and Border Protection data, in 2001 there were 1,643,679 apprehensions at the border, compared with 396,579 in 2018 -- a decrease of more than 75 percent. While apprehensions are down in great numbers along historical trends, they have increased during the president's most recent year in office. In 2018, there were roughly 92,000 more apprehensions at the southern border than in 2017. In other words, they went up under his watch after a brief dip. Overall, the numbers have been under 1 million since 2007 and have been hovering under 500,000 since 2010. In fact, the lowest number of apprehensions in the past two decades -- 303,916 -- came in 2017. However, Trump is not far off when he says there is a "humanitarian crisis" at the border. The number of unaccompanied migrant children in custody today is approaching 15,000. And by Trump's own admission in the Oval Office Tuesday evening, immigration detention facilities in general are being pushed to the limit. Many critics of the administration's immigration policy have called for more resources at the border to more quickly move these people through the system and out of detention. There are also thousands of migrants now living in tent cities on the Mexican side of the border waiting to claim asylum in the United States. Ironically, one of the most dire humanitarian crises of his presidency came last year when his administration began separating children from their families under the short-lived zero-tolerance policy. 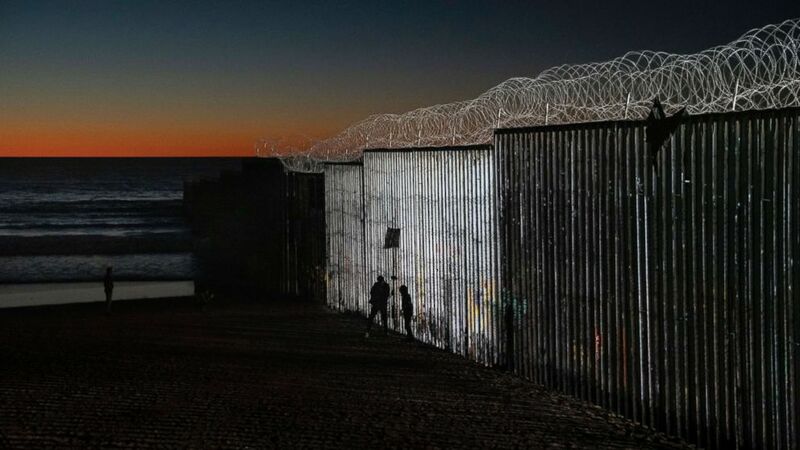 (Daniel Ochoa de Olza/AP) The sun sets while people walk close to the border fence between the U.S. side of San Diego, Calif., and Tijuana, in Mexico, Jan. 2, 2019. Claim: "Our southern border is a pipeline for vast quantities of illegal drugs including meth, heroin, cocaine and fentanyl. Every week 300 citizens are killed by heroin alone, 90 percent of which floods across from our southern border." This is true. According to the DEA 2018 Drug Threat Assessment, the southwest border is where large amounts of drugs enter the U.S. But it's important to note those drugs largely come through legal points of entry. A border wall won't fix that. Heroin claimed 15,958 lives in 2017 -- about 300 every week. The rapid increase in the number of drug deaths in recent years is largely attributable to fentanyl. If there is a crisis, fentanyl is it. But the fentanyl is mostly coming through the points of entry at the southwest border, and it's not just coming into the country there -- China is a significant source as well. According to the DEA 2018 National Drug Threat Assessment: "Large volumes of fentanyl are seized at the SWB [southwest border], although these seizures are typically low in purity, less than 10 percent on average. Conversely, the smaller volumes seized after arriving in the mail directly from China can have purities over 90 percent." Drug organizations "most commonly smuggle the multi-kilogram loads of fentanyl concealed in POVs [privately owned vehicles] before trafficking the drugs through SWB [Southwest Border POEs [Ports of Entry]," the report states. Claim: "More Americans will die from drugs this year than were killed in the entire Vietnam war." Trump's prediction is consistent with the law enforcement official's expectations. According to the National Archives, 58,220 Americans died as a result of the Vietnam conflict. Drug-poisoning deaths surpassed that number in 2016 at 63,632, that number continued to climb in 2017, to 70,237. Statistics for 2018 are still being compiled, but according to law enforcement sources, that number is expected to surpass 2017. 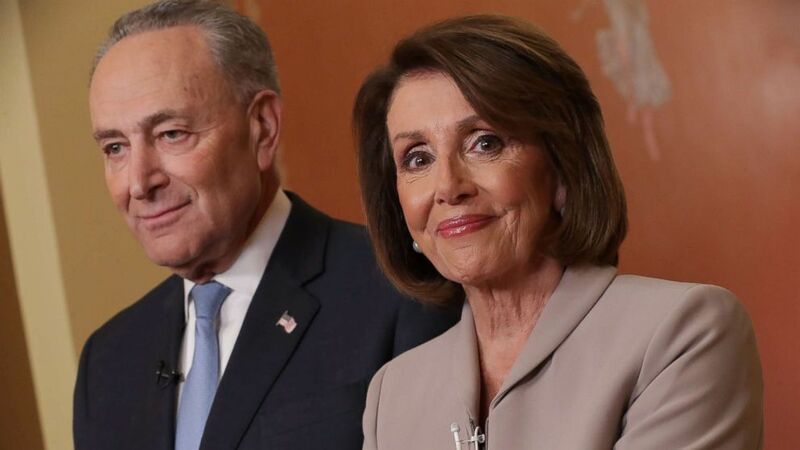 (Chip Somodevilla/Getty Images) House Speaker Nancy Pelosi and Senate Minority Leader Chuck Schumer speak on Capitol Hill in response to President Donald Trump's prime-time address on border security, Jan. 8, 2019, in Washington. Claim: "Senator Chuck Schumer, who you will be hearing from later tonight, has repeatedly supported a physical barrier in the past along with other Democrats. They changed their mind only after I was elected president." As recently as January 2018, Trump and Schumer appeared to have an agreement for permanent protections for some young undocumented immigrants in exchange for border security, including the wall. But those negotiations eventually fell apart. The Secure Fence Act of 2006 called for the construction of 700 miles of fencing along the southern border, including enhanced surveillance technology, satellites, radar coverage and cameras. The barrier was far less ambitious than the "big, beautiful" concrete wall Trump promised voters. The legislation was part of the Bush administration's broader strategy for comprehensive immigration reform. And while the bill itself called for the construction of border "fencing," it also included a multi-faceted approach at securing the border. The final vote in the House was 283-138. Current House Speaker Nancy Pelosi voted against it. The legislation was signed into law by President George W. Bush.